This is a more exciting and a more complicated story than the first book in the series. 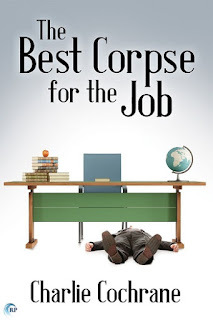 I enjoyed the intertwining strands of the multiple crimes in this story. There are perhaps too many characters this time – I had a difficult time keeping everyone straight – but I enjoyed Robin’s crime solving escapades. If Adam and Robin felt old for their years in the first book, the domesticity of this second story makes them both seem positively ancient. Between cosy meals at home with the dog for company and a slightly overblown quarrel, these two enjoy a harmonious, if strangely platonic, relationship this time around. These stories are on the gentler side of the classic English murder mystery – Robin feels more like a contemporary Miss Marple than even an Adam Dalgliesh and there is something very traditional and conservative about both Adam and Robin. Like the first story, this one wanders round in circles a bit. The circles are more complex this time which makes for a more interesting read, but it didn’t completely hold my attention and I really had to force myself to plow through to the end. 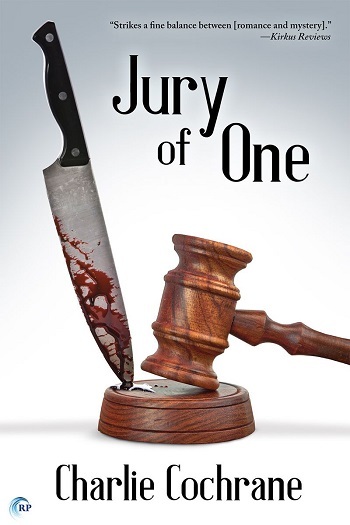 Reviewers on the Wicked Reads Review Team were provided a free copy of Jury of One (Lindenshaw Mysteries #2) by Charlie Cochrane to read and review.